Home Guest Posts Make Peace, Not War? 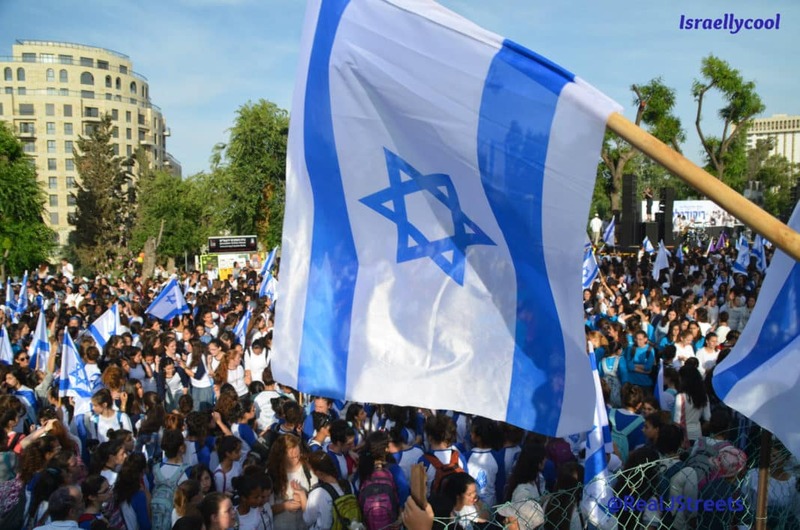 What Israel is experiencing right now is an act of war. I suspected that it’s not being defined that way because it is war against terrorists and not a state. A quick Google search confirmed my suspicion. If Syria was trying to breach Israel’s security with tens of thousands of armed, military-aged men with weapons with the intent to kill, we would call it an act of war. So, why is this important? Come close. Soldiers don’t use rubber bullets in a war. Seriously, I am SO not making that up. Their intent is also clear. Intent can be a tricky thing. The times when it becomes less ambiguous is when people tell us “I am doing this because of X”. Let’s be clear, this has nothing to do with the move of the embassy, and those trying to blame our current President or Israeli’s PM have no basic grasp of the Middle East, history or the motives of the Palestinians. The media offers us a lot of guesses at intent but without understanding the history, their opinions mean zippity doo dah. There was no embassy in 1929. There was no embassy in 1948. 1967? No. 1973?? Still no. 1987, 2005, 2014, 2015-2016???? No. The Palestinians will literally kill Jews on any day that ends in a “y”. So stop that nonsense. The Palestinian culture is a very, sick culture. They incorporate murdering Jews into every aspect of their society: Mosques, schools, music, art, TV, plays and songs. For those who have a knee jerk reaction to what I wrote, Google “culture” and now picture this group of people with white skin. Would you see that as a sick culture? Their culture makes it very clear as to their intent. 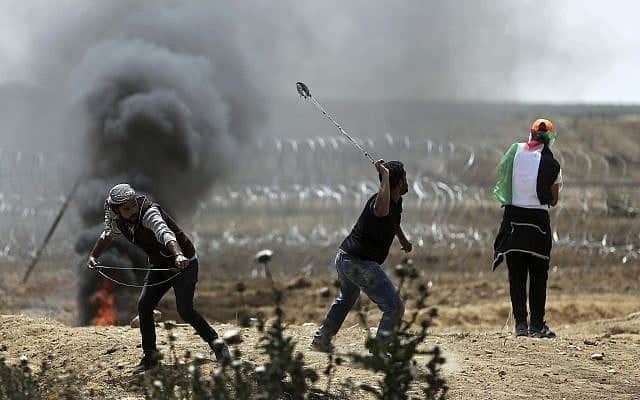 So, we have terrorists threatening to breach a security fence of a country to kill as many Jews as they can, we know their intent because they tell us this and people think that Israel should be using rubber bullets? Am I hearing this chatter correctly? So, I’m gonna do something different. Every time I hear about another death of a terrorist who has called for war with death for Jews, I am going to post an update, and I am going to say “thank you” to Israel for doing what it should be doing, protecting, innocent people from being murdered. If this is confusing to anyone, I can clarify any points. If it’s confusing because you think Israel should “show some restraint”, you’re beyond any help that I could offer.